Home > In the News > Employees’ feedback nets NBACL a National Globe and Mail award! Employees’ feedback nets NBACL a National Globe and Mail award! (Fredericton, NB) When it comes to being a great employer, the New Brunswick Association for Community Living (NBACL) is “numero uno” in the eyes of its employees. 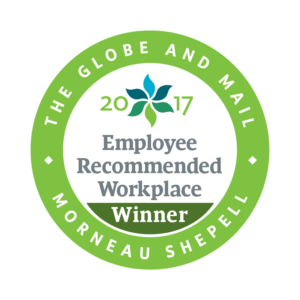 And thanks to that endorsement, NBACL has received national recognition as a Globe and Mail Employee Recommended Workplace Award winner. The award was presented last night at the new Globe and Mail conference centre in Toronto. NBACL President Moira Wilson, Executive Director Danny Soucy, and Development Coordinator Elizabeth Kearns were there to receive the award. “I know I speak for all my colleagues when I say how proud I am to work at NBACL!” said Elizabeth Kearns following the presentation. Kearns was elected by her coworkers to attend the awards reception on behalf of the entire NBACL staff. NBACL employs over 70 people across the province whose mission it is to help children and adults with an intellectual disability, and their families, attain and experience all the benefits of being included: living, learning, working, and participating in their community. 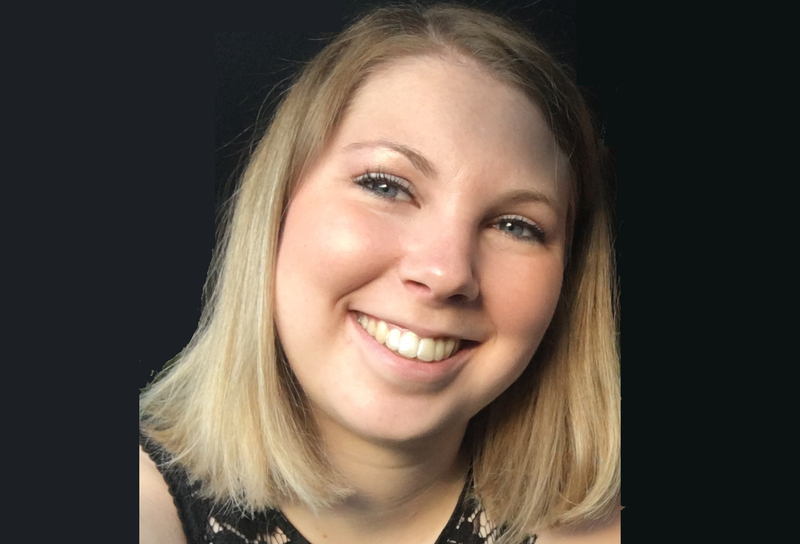 Elizabeth Kearns agreed, adding that another feature staff members mention is an attractive benefits package that includes paid vacation days, sick leave, family/emergency leave, maternity top up, a health and dental plan, flexible work hours, and an employee assistance plan. 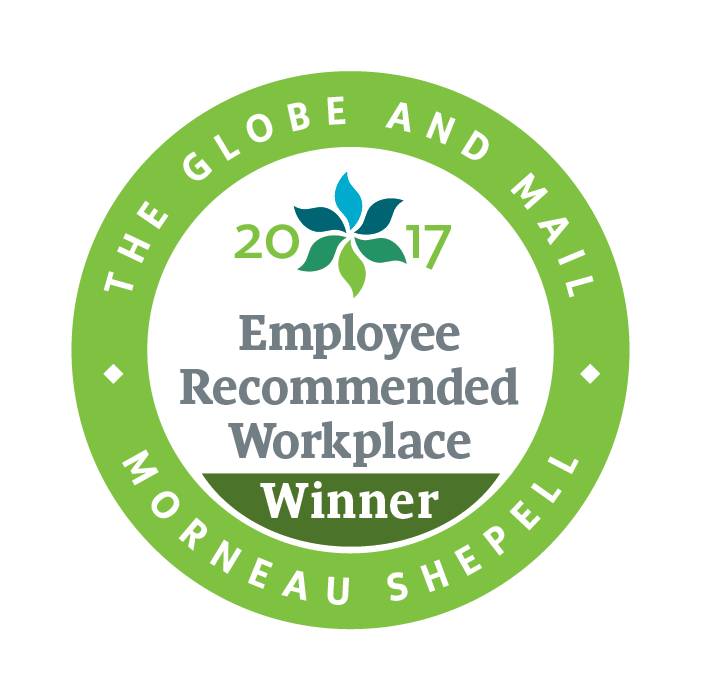 A partnership between the Globe and Mail and Morneau Shepell, the Employee Recommended Workplace Award was established to recognize employers across the country that have the highest standards in workplace well-being. Interestingly, the award is the first of its kind to have winners determined by an organization’s own employees. Employees of participating organizations filled out an online survey where they were asked to rate themselves on the four key pillars of total health: physical, mental, work and life. They then received a personal report and score, and winning organizations were chosen based on the numeric score of all employees. NBACL is one of only nine organizations across the country to merit an award for having received the highest score in their category. There were some 32 with the ERW designation that were vying for the top honours. Established in 1957, the New Brunswick Association for Community Living is a provincial non-profit organization with offices in Fredericton, Moncton, Saint John, Miramichi, Bathurst, Edmundston and Charlotte County.